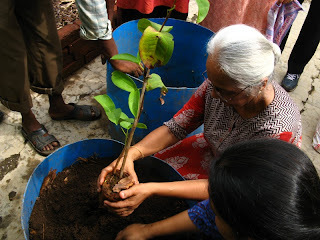 It was a day for planting new saplings of fruit trees. The Amrut Mitti on the big tank was ready. 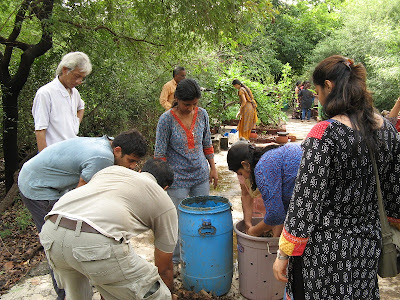 Our new batch of containers ( blue recycled drums ) came from Swarupa's ( our New volunteer ) factory , from where they were usually being sent for scrap. 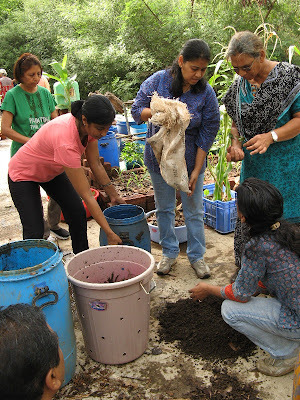 This time , we bought some vermi compost, red earth mixed them in 1:1 ratio, added some ash, and rock powder and made the pot mix. The lower half ( 40% ) of the container was filled with sugarcane bagasse, on top of it went semi decomposed leaves collected from the park, on top of it went the pot mix created, and the topmost layer of about six inches we added AMRUT MITTI. 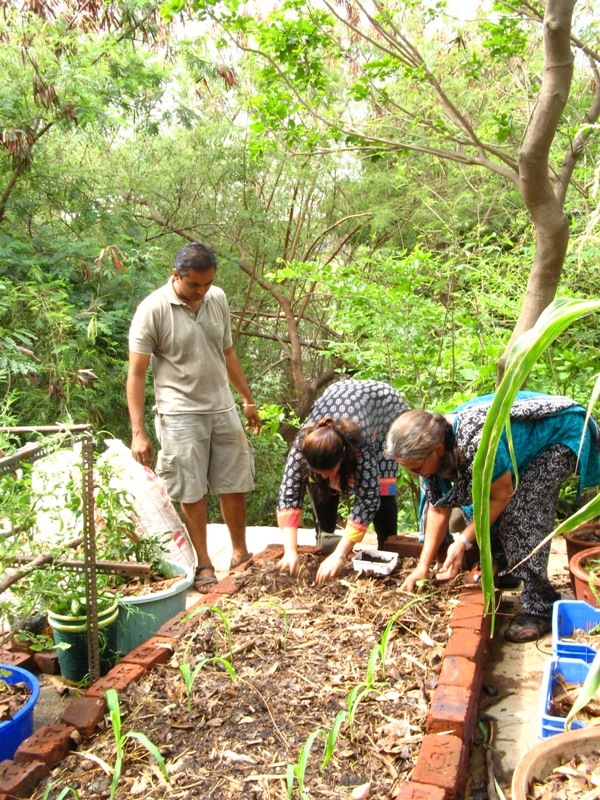 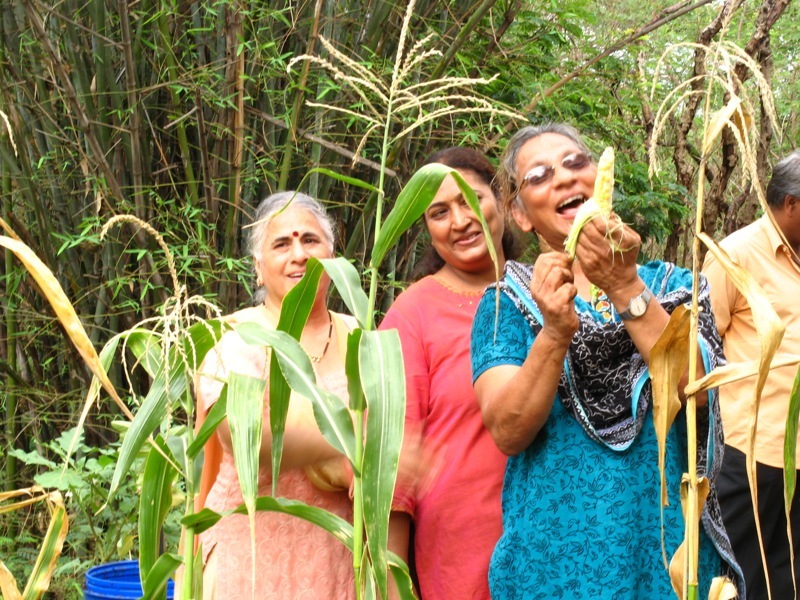 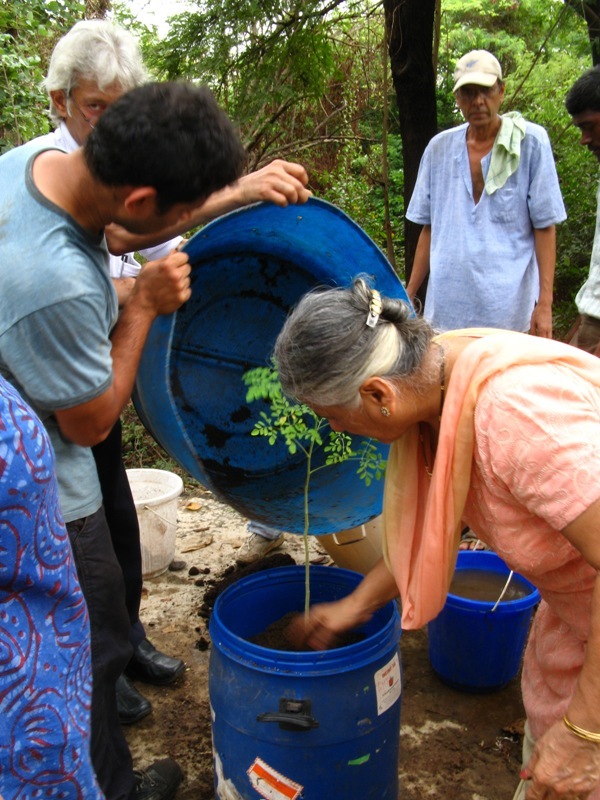 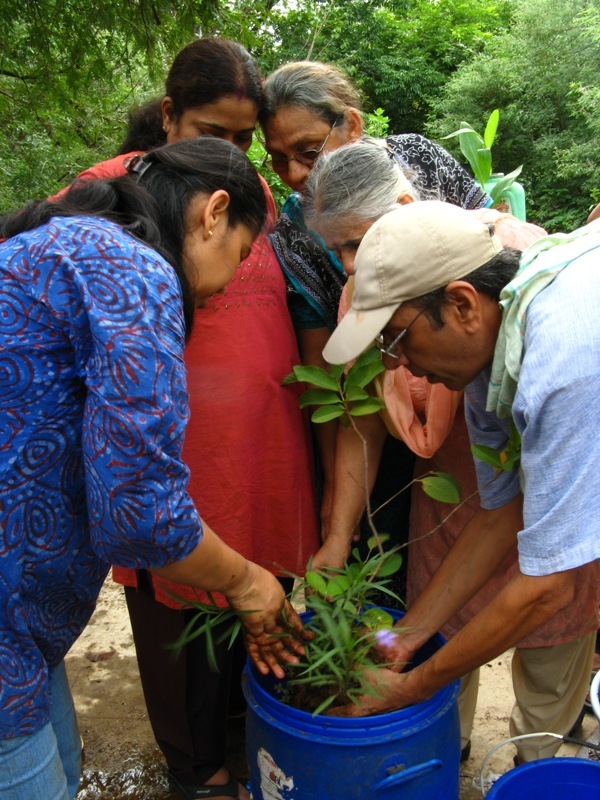 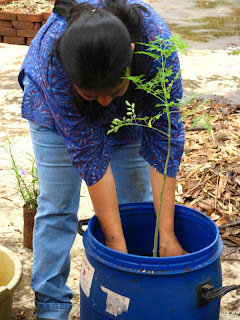 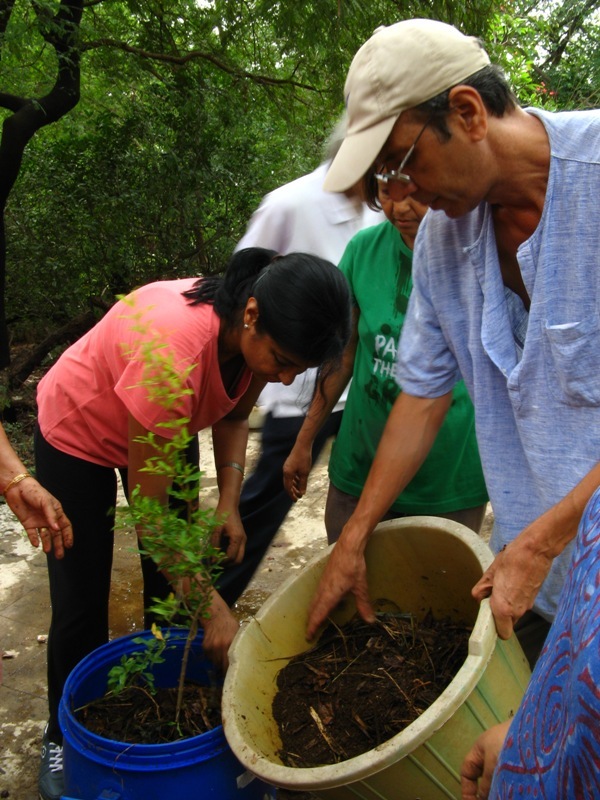 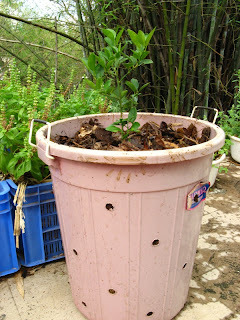 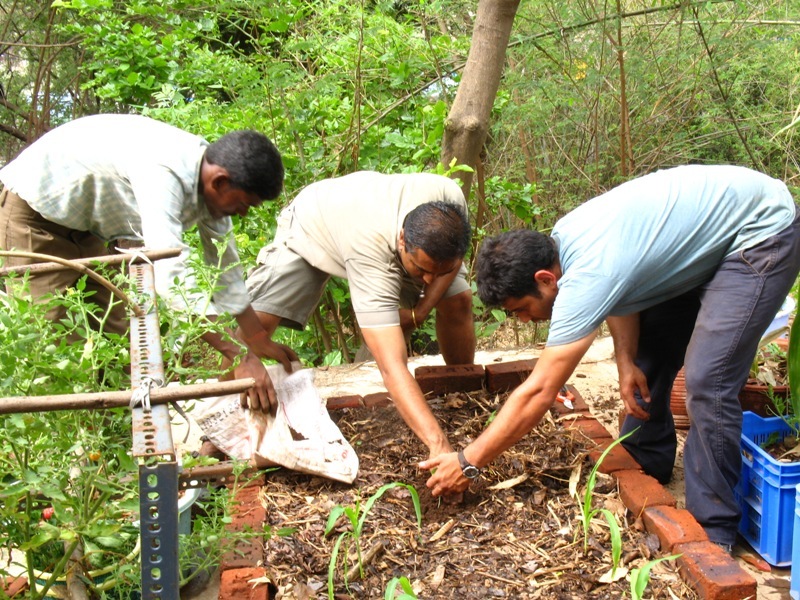 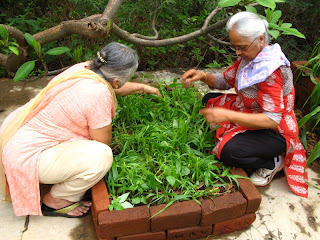 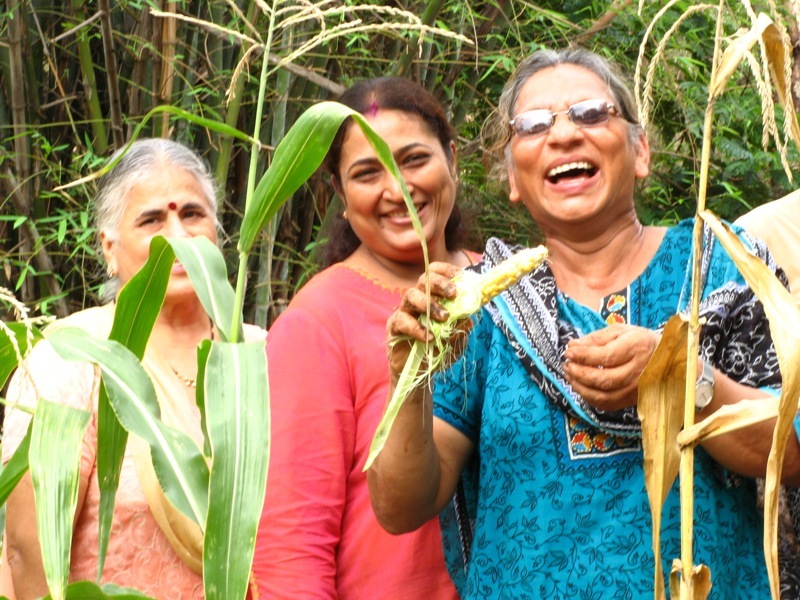 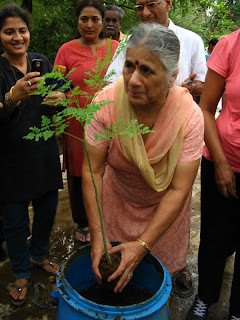 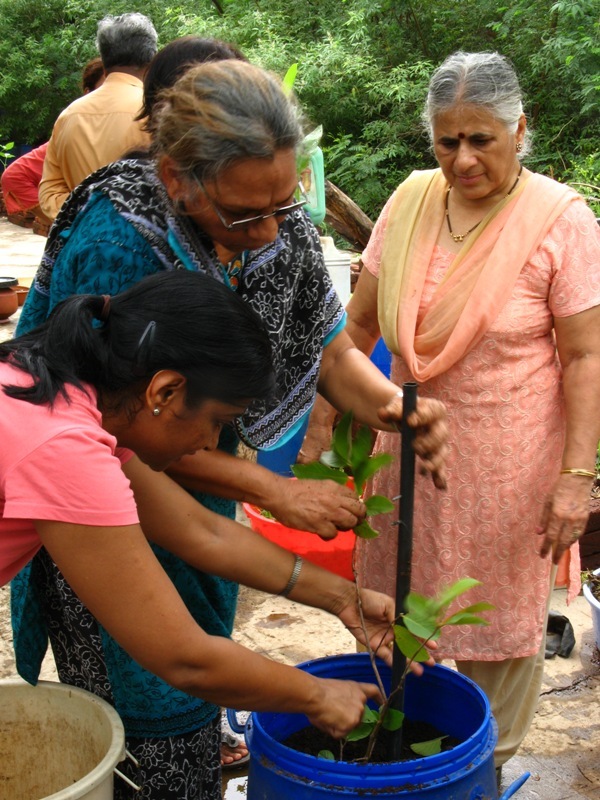 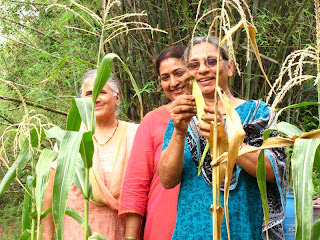 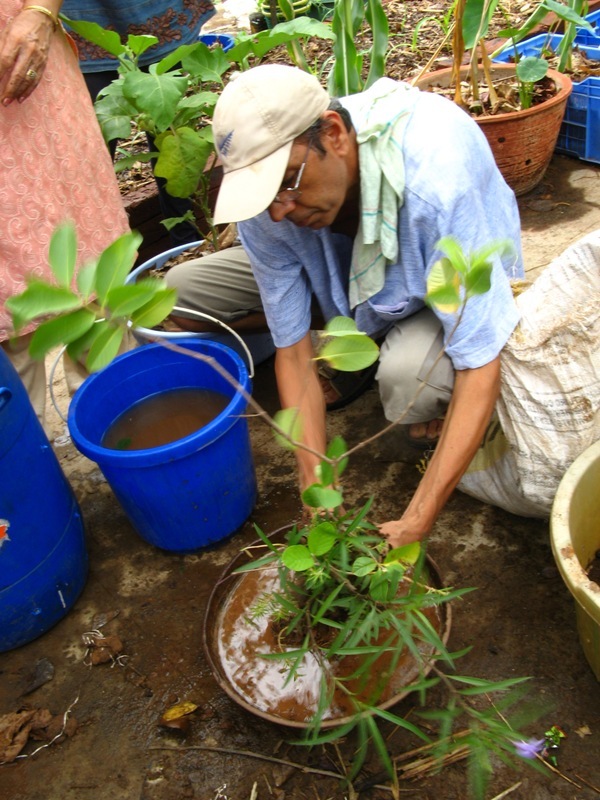 This way Amrut Mitti can be used to grow more plants. 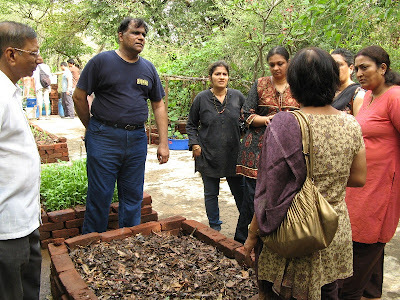 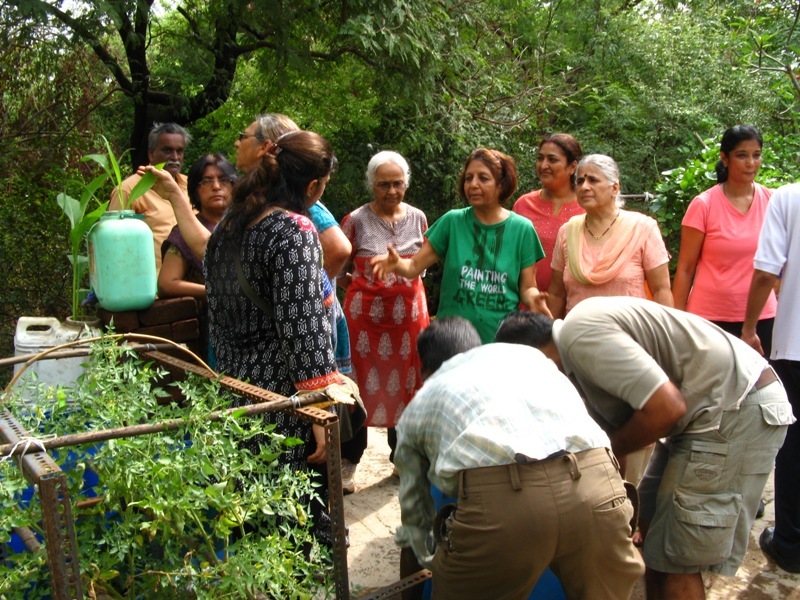 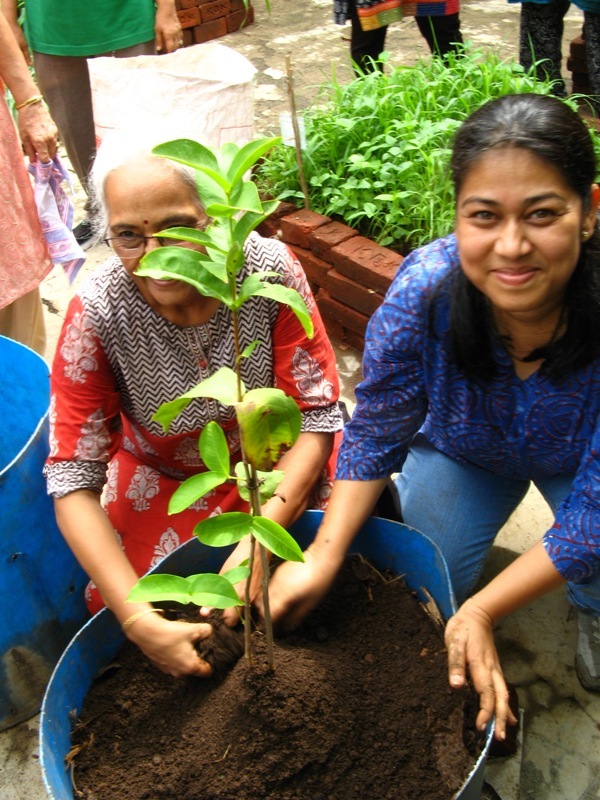 Anjani Mehta got her society residents who visited us , were inspired and now wish to green their society! 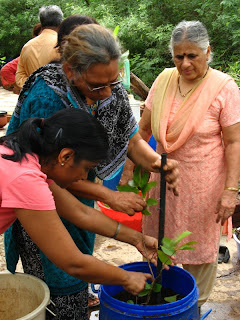 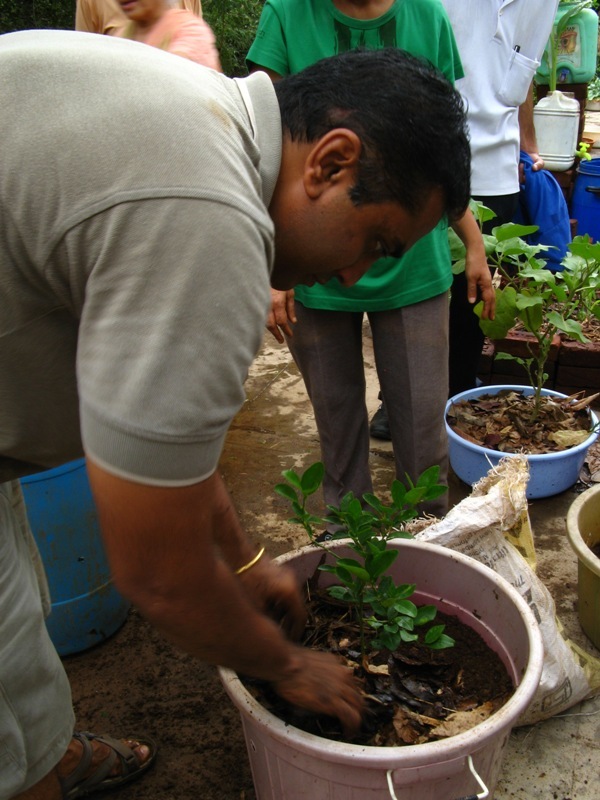 We planted lemon trees, pomegranate,custard apples, guava,drumstick. Harvesting corn! See the delight on their faces! 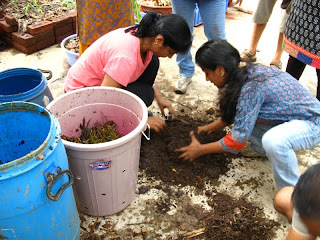 This was followed by a delicious potluck! 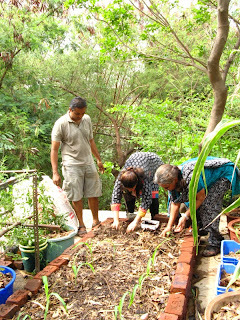 Sorry folks, no photos of the menu! 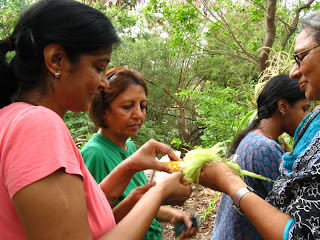 We all got so engrossed in eating. Saroj delighted us with her vegan Mango Pudding . here she explains the recipe to all of us. Keep a watch on the orchard and come and join us in two years time to harvest the fruits!